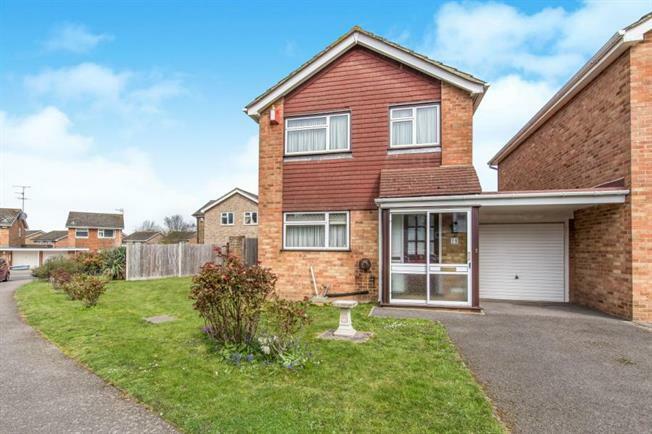 3 Bedroom House For Sale in Chatham for Asking Price £365,000. This three bed link detached home has so opportunity for the buyer who wants to put there own stamp on a house that could be extended to the side STPP. There is driveway parking leading to the garage with extensive gardens to the front and side and the rear garden has a nice selection of fruit trees. The accommodation comprises hallway, kitchen and lounge dining room over looking the rear garden and on the first floor there are three good sized bedrooms with a family bathroom.